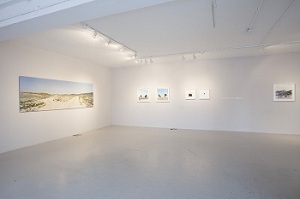 Dana Ariel, Encountering Perforated Ground, OPEN16 SOLO exhibition 2016, installation photo by Alice Jacobs. Apply to exhibit as part of the forthcoming Brighton Photo Fringe (BPF) festival and show your work at a key exhibition venue. This October, Brighton Photo Fringe will deliver a festival that will activate disused spaces, open-air sites, cafés, bars, shop fronts and galleries across the city, platforming a vast and eclectic selection of inspiring new photography. By entering you could exhibit at ONCA in Brighton as part of a shortlist of 20 or be selected as our solo artist for 2018. The festival will run from 29th September to 28th October 2018, alongside the internationally acclaimed Brighton Photo Biennial. This year’s festival will examine the way photography shapes and changes our lives and how together we can develop new ways of seeing. Brighton Photo Fringe doesn’t set a theme for artists taking part. So please enter work that you consider to be in some way photographic. We want to show work that is well resolved, exciting and innovative. One artist will be offered a solo exhibition at ONCA, with an artist’s fee of £750 and print costs covered by our sponsor Metro Imaging Ltd.
Submissions of work are invited from early-career photographers, by this we mean someone who is just beginning to gain recognition. The work submitted must be an existing body of work which has not been previously exhibited in the UK (the body of work can be graduate work if it has not been shown outside a University or art college). Entrants may submit any work that considers itself in some way photographic. Artists working solely or mainly in Moving Image should see our OPEN18 Moving Image call. Artists between the ages of 14 to 18 should apply for our OPEN18 Young Photographers. Details to be announced in the coming weeks on our website. Brighton Photo Fringe is a registered charity that supports early-career photographers and lens-based artists, showcases new talent and enables all kinds of people to enjoy and experiment with photography. Every two years BPF designs and delivers one of the largest photographic festivals of its kind in the UK. BPF is open to everyone and everybody’s invited. 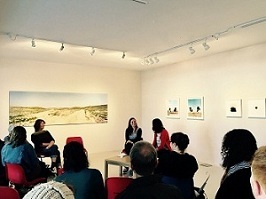 Brighton Photo Fringe festival runs in parallel to the internationally acclaimed Brighton Photo Biennial. In 2016 both festivals attracted over 100,000 visitors and received significant press coverage. ONCA supports the wellbeing of people and places by increasing awareness of, and engagement with, environmental and social challenges. They are a space for meeting, thinking, learning and celebrating art, always encouraging artists and audiences to ask big questions about difficult issues. ONCA does all this from their gallery and performance space in Brighton where they host a range of events – some led and curated by them, and some by visiting artists and companies who hire the gallery. You can see pictures of the space here. The OPEN18 selected artist is responsible for the delivery and collection of their work to and from the exhibition space. If you are applying from overseas, please consider how you will get your work to and from the exhibition space at the required times. The selected solo artist will work with the Brighton Photo Fringe team and the gallery technician to install their work. The selected solo artist will also be required to remove their work after the exhibition with the assistance of the Brighton Photo Fringe team. Access to the exhibition venue for delivery, installation and collection of work will be arranged via a Brighton Photo Fringe team member. Please ensure you are available between 22nd and 28th September 2018 for the exhibition install, and on 29th and 30th October 2018 for the exhibition deinstall. If you are applying from overseas, please consider how you will be able to meet these requirements. The exhibition preview events will take place in the evening on Saturday 29th September 2018 (between 6pm and 9pm). The selected solo artist will be expected to attend the preview of their exhibition event unless extenuating circumstances prevent them doing so. We would like all shortlisted artists to attend the preview events also if possible. All shortlisted artists will be invited to the BPF Launch Party from 9pm on 29th September 2018. The artist will also need to be available to meet the press. The selected solo artist will be invited to participate in an artist talk about their exhibition and practice on Sunday 30th September. The fee for this is included in the artist’s fee. Please upload your images in the next step. Upload up to 8 images (72 dpi, each image no larger than 3MB). For each image, please add in the description field the following information: year of production, dimensions and any specific printing, framing or equipment requirements. 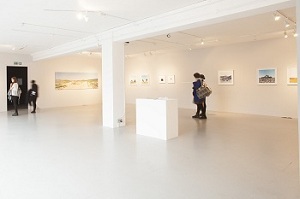 You can view a plan of the exhibition space here. For further information please see www.photofringe.org or contact info@photofringe.org. Brighton Photo Fringe receives sponsorship from Metro Imaging Ltd and ONCA, and work in partnership with many others. LensCulture are our partners for the OPEN18.